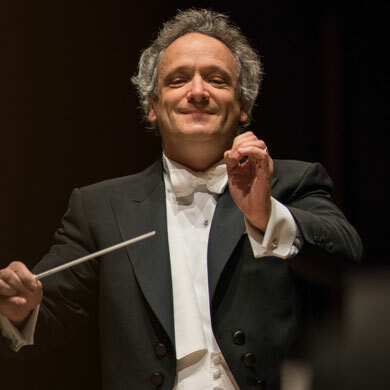 “Langrée, CSO deliver fresh performance of ‘Eroica’"
The French conductor Louis Langrée has been Music Director of Cincinnati Symphony Orchestra since 2013. Leila Josefowicz’s passionate advocacy of contemporary music for the violin is reflected in her diverse programmes and enthusiasm to perform new works. The Cincinnati Symphony Orchestra is one of America’s finest and most versatile ensembles. The French conductor Louis Langrée has been Music Director of the Mostly Mozart Festival at Lincoln Center in New York since 2002 and of the Cincinnati Symphony Orchestra since the 2013/14 season. The Mostly Mozart Festival celebrated its 50th Anniversary in 2016, in a programme including Così fan tutte with the Freiburger Barockorchester, the latter following performances at the Aix-en-Provence Festival. With Cincinnati Symphony Orchestra, recent and future highlights have included a performance in New York as part of their anniversary season of Lincoln Center’s Great Performers series, a tour to Asia and several world premieres, including three Concertos for Orchestra by Sebastian Currier, Thierry Escaich and Zhou Tian. Guest conducting projects over the next two seasons include Louis Langrée’s debut with the Philhadelphia and Konzerthaus Berlin Orchestras and return engagements with the Leipzig Gewandhaus, Wiener Symphoniker and Hallé. With the Orchestre National de France he will conduct Debussy’s opera and Schoenberg’s tone poem based on Maeterlinck's Pelléas et Mélisande. He will also return to the Metropolitan Opera in New York, Wiener Staatsoper and Opéra Comique in Paris. Louis Langrée has conducted the Berliner Philharmoniker, Wiener Philharmoniker (in concert in both Vienna and Salzburg) and London Symphony Orchestra. He has worked with many other orchestras around the world including the London Philharmonic, Orchestre de Paris, Orchestre de la Suisse Romande, Santa Cecilia in Rome, Deutsche Kammerphilharmonie Bremen, Budapest Festival, Sao Paulo and NHK Symphony Orchestras. Festival appearances have included Wiener Festwochen, Salzburg Mozartwoche and Whitsun, BBC Proms and Glyndebourne Festival Opera. He has held positions as Music Director of the Orchestre de Picardie (1993-98) and Orchestre Philharmonique Royal de Liège (2001-06) and was Chief Conductor of the Camerata Salzburg (2011-16). Louis Langrée was Music Director of Opéra National de Lyon (1998-2000) and Glyndebourne Touring Opera (1998-2003). He has also conducted at La Scala, Bayerische Staatsoper in Munich, the Royal Opera House Covent Garden, Opéra-Bastille and Théâtre des Champs-Elysées in Paris, Lyric Opera of Chicago, Dresden Staatsoper, Grand Théâtre in Geneva and the Netherlands Opera in Amsterdam. Louis Langrée's first commercial recording with the Cincinnati Symphony Orchestra features Copland’s A Lincoln Portrait (narrated by Dr Maya Angelou) and world premieres by Nico Muhly and David Lang. Louis Langrée’s recordings have received several awards from Gramophone and Midem Classical. He was appointed Chevalier des Arts et des Lettres in 2006 and Chevalier de la Légion d’Honneur in 2014. Alongside pianist John Novacek, with whom Josefowicz has enjoyed a close collaboration since 1985, she has performed recitals at world-renowned venues such as New York’s Zankel Hall and Washington’s Kennedy Center as well as Reykjavik, Leeds, Chicago, San Francisco, Santa Barbara and Halifax (Nova Scotia). This season, she appears at Madrid’s Centro Nacional de Difusion Musical, Ithaca and Eastman schools of music, the Perimeter Institute of Theoretical Physics, and returns to London’s Wigmore Hall. A favourite of many living composers, Josefowicz enjoyed a close working relationship with the late Oliver Knussen performing together over 30 times, most of these with his violin concerto. Josefowicz has premiered many new concertos, with composers including John Adams, Esa-Pekka Salonen, Colin Matthews and Steven Mackey, all writing especially for her. Josefowicz gave the world premiere of Adams’ Scheherazade.2 (Dramatic Symphony for Violin and Orchestra) in 2015 with the New York Philharmonic and Alan Gilbert. Luca Francesconi’s concerto Duende – The Dark Notes, was given its world premiere by Josefowicz (also written for her) in 2014 with Swedish Radio Symphony Orchestra and Susanna Mälkki, and subsequently performed again with BBC Symphony Orchestra and Mälkki at the BBC Proms in 2015. Recent highlights include engagements with the Berliner Philharmoniker, Los Angeles Philharmonic, Concertgebouw Orchestra, Washington’s National Symphony Orchestra and Boston and Finnish Radio symphony orchestras. In summer 2017, Josefowicz appeared at Birmingham’s Symphony Hall and London’s Royal Albert Hall at the BBC Proms with City of Birmingham Symphony Orchestra with Mirga Gražinytė-Tyla. Josefowicz has released several recordings, notably for Deutsche Grammophon, Philips/Universal and Warner Classics and was featured on Touch Press’ acclaimed iPad app, The Orchestra. Her latest recording, featuring Scheherazade.2 with the St Louis Symphony conducted by David Robertson, was released in 2016 and nominated for a Grammy Award. Josefowicz’s recording of Esa-Pekka Salonen’s Violin Concerto with the Finnish Radio Symphony Orchestra conducted by the composer, was also nominated for a Grammy Award in 2014. Leila was awarded the Avery Fisher Prize in 2018 for outstanding achievement and excellence in music (Read more here). The Cincinnati Symphony Orchestra, which also performs as the Cincinnati Pops, is one of America’s finest and most versatile ensembles. 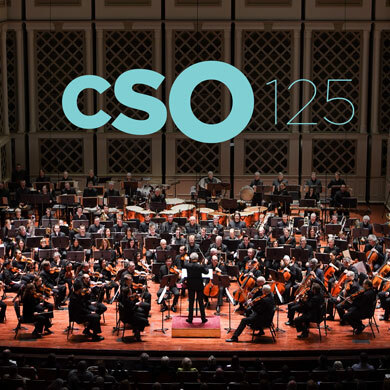 With a determination for greatness and a rich tradition that dates back over 120 years, the internationally acclaimed CSO attracts the best musicians, artists and conductors from around the world to Cincinnati. With new commissions and groundbreaking initiatives like LUMENOCITY®, One City, One Symphony, and the MusicNOW Festival collaboration, the Orchestra is committed to being a place of experimentation. Louis Langrée began his tenure as the CSO's 13th Music Director in the 2013-2014 season with a celebrated program The New York Times said “deftly combined nods to the orchestra's history, the city's musical life and new music.” Over the Orchestra's 120-year history, it has also been led by Leopold Stokowski, Eugène Ysaÿe, Fritz Reiner, Eugene Goossens, Max Rudolf, Thomas Schippers, Jesús López-Cobos, and Paavo Järvi, among others. A champion of new music, the Orchestra has given American premieres of works by such composers as Debussy, Ravel, Mahler and Bartók and has commissioned works that have since become mainstays of the classical repertoire, including Copland's Fanfare for the Common Man. The CSO was the first orchestra to be broadcast to a national radio audience (1921) and the third to record (1917). The Orchestra continues to commission new works and to program an impressive array of music. In recent years, the CSO has performed the world premieres of Nico Muhly's Pleasure Ground, David Lang's mountain, Caroline Shaw's Lo and Daniel Bjarnason's Collider as part of the groundbreaking collaboration with the MusicNOW Festival, Cincinnati's premier new music festival, as well as the world premiere of André Previn's Double Concerto. More recent commissions include Gunther Schuller’s Symphonic Triptych, three works set to the poetry of Dr. Maya Angelou by T. J. Cole, Jonathan Bailey Holland and Kristin Kuster, as well three new concertos for orchestra by composers Sebastian Currier, Thierry Escaich and Zhou Tian, which will be released on a commercial recording in November of 2016. The CSO was the first American orchestra to make a world tour sponsored by the U.S. Department of State and continues to tour domestically and internationally, most recently to Europe in 2008 and to Japan in 2009, including two concerts at Tokyo's Suntory Hall and the CSO's first-ever nationally televised concert in Japan. The CSO has performed at New York's Carnegie Hall 48 times since its debut there in 191, most recently to rave reviews in May of 2014. In January of 2016, the Orchestra performed at New York’s Lincoln Center as part of the invitational Great Performers series. Three years before Beethoven was born, the German playwright Gotthold Ephraim Lessing published an important theoretical work on theatre called the Hamburg Dramaturgy. In it, Lessing wrote at length about the role of music in spoken drama, an area in which he felt substantial changes were needed. 18th-century aesthetics insisted not only on music’s power to express human emotions but also its obligation to do so as fully as possible. According to Lessing, music for spoken plays should express the subject matter at hand, rather than just provide a background or a distracting entertainment. In the hands of Gluck, Mozart and Beethoven, the genre of the overture became capable of dramatic expression to a degree never dreamed of by Lessing. 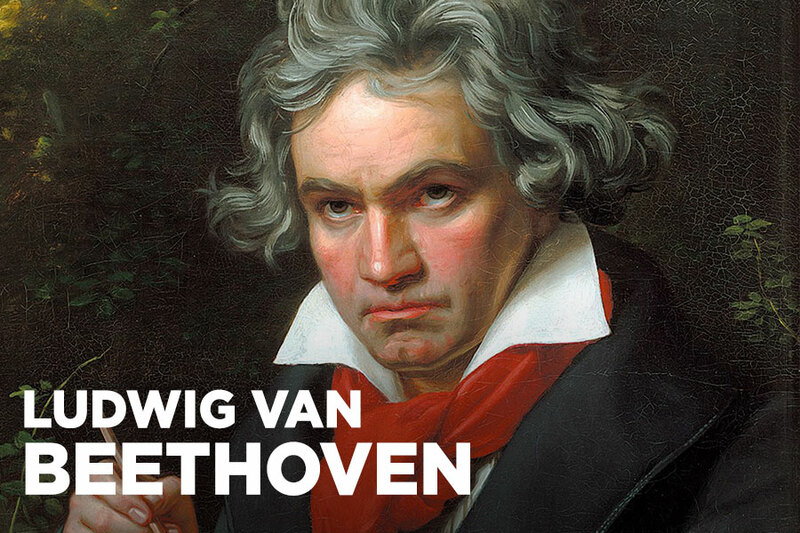 Beethoven discovered entirely new possibilities in the overture, and when, between the second and third versions of his opera Fidelio, he turned to the spoken theatre to write Egmont, he incorporated incidental music into the drama like no one had ever done before. The action of Goethe’s tragedy Egmont, written in 1786, takes place in the 16th century, when Flanders was occupied by the Spanish. Count Lamoral van Egmont, scion of a noble family of Flanders, was appointed governor of the province by Spain’s King Philip II (the stepfather and rival of Don Carlos in Schiller’s tragedy and Verdi’s opera). Seeing the suffering of his oppressed fellow countrymen, Egmont turned against the Spaniards and challenged the King to give freedom to the Low Countries. In response, Philip had Egmont executed in Brussels on June 4, 1568; this cruel act touched off a war of independence that eventually ended with the victory of the Flemish insurgents. This story of a foreign oppression challenged could never have been timelier than in the Vienna of 1809, occupied by Napoleon’s forces. And surely no composer had treated the themes of oppression, struggle and freedom as often and as gloriously as Beethoven, whose opera Fidelio was about the liberation of a freedom-fighter from unjust imprisonment and whose Fifth Symphony climaxed in a breathtaking transition from darkness to light. Lessing had written in the Hamburg Dramaturgy: “The overture must only indicate the general tendency of the play and not more strongly or decidedly than the title does. We may show the spectator the goal to which he is to attain, but the various paths by which he is to attain it must be entirely hidden from him.” In fact, the Overture to Egmont describes the goal (victory) through a transition from darkness to light not unlike those in the earlier Fifth Symphony and the “Leonore” Overture No. 3. KEYNOTE. The overture consists of three sections: a slow introduction, followed by a dramatic Allegro and a triumphant coda. The introduction is based on two themes, a forte chordal passage played by the strings and a doleful melody given to the woodwinds. A short transition leads into the passionate Allegro, written in a heroic style with reminiscences of the Fifth Symphony. The chordal passage from the introduction reappears as the Allegro’s second theme. Another dramatic transition ushers in the coda (concluding section), in which the fanfare of the horns and trumpets proclaims the triumph of the cause of freedom. Goethe’s tragedy ends as Egmont confronts his executioners without fear; as the curtain falls, Goethe’s stage direction calls for a Siegessymphonie (symphony of victory) to be played by the orchestra; and that is exactly what Beethoven composed here. CSO notable performances: One previous subscription weekend: March 2013, Juanjo Mena conducting; Leila Josefowicz, violinist. 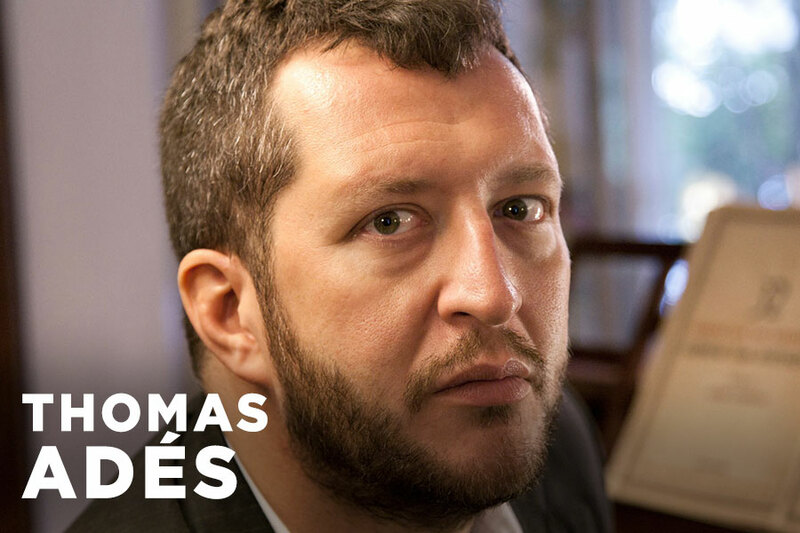 On his 48th birthday, which falls on March 1, 2019, Thomas Adès can look back on an international career of three decades. Having burst on the scene as an astonishing teenage prodigy, he has long been an established composer, pianist, conductor and festival director, and the youngest-ever musician to have won the Grawemeyer Award, nicknamed the “Nobel Prize of music,” for his first work for large orchestra, Asyla. His operas, Powder Her Face, The Tempest and The Exterminating Angel have garnered universal acclaim; every new work from his pen is greeted with the greatest expectations and premiered in the most important musical centers of the world to rave reviews. With the Violin Concerto, Adès has certainly left his “early period” behind and produced a work that is fiercely original yet entirely comfortable with tradition—opposites only truly great composers can reconcile. He elegantly tweaks the customary fast-slow-fast pattern of the concerto, in which the opening movement carries the most weight, into a structure centered on its substantial middle movementc lanked by two shorter statements. The titles of the individual movements (“Rings,” “Paths,” “Rounds”) indicate different routes by which one navigates the rich array of ideas that make up the work’s musical landscape. KEYNOTE. The piece is a real journey, and a rather arduous one at that, completed by the solo violin. In the 121 measures of the first movement, there are only six in which the soloist doesn’t play; the violin part is dominated by breakneck sixteenth-note passages and melodies in the stratospheric regions of the instrument’s range. Delicate harmonics combined with agile woodwind parts and grave drumstrokes create a complex and ever-changing orchestral texture that never lets the momentum flag for a moment. If the first movement is a kind of perpetuum mobile, the second has a more complex form, complete with abrupt dramatic changes and intricate offbeat rhythms that often sound like rubato (free rhythm) while they are in fact notated with extreme meticulousness. A section filled with energetic double, triple and quadruple stops is followed by another made up of rapid passagework, leading in turn to a lyrical intermezzo for woodwind, a passionate theme for the soloist, and a concluding section where the intense activity gradually calms down as the violin descends from the stratosphere to the ground, its thematic material finally reduced to the two lowest pitches of the instrument (G and A-flat). The final movement opens with what sounds like some imaginary popular dance tune, put through its paces in constantly changing mixed meters and with an eerie percussion accompaniment. Combined with a slower-moving violin theme, the dance tune increases in energy and finally appears as a duet between the solo violin and the piccolo, who play it at the same time but not at the same tempo! A final crescendo puts a sudden end to the dance, and to the concerto. CSO notable performances: 37 previous subscription weekends | Premiere: January 1896 (Pike Opera House), Frank Van der Stucken conducting | Most recent: May 2016, Louis Langrée conducting | The Orchestra also has performed the Eroica Symphony on domestic and foreign tours, including to Europe (1969 and 1995) and Asia (1966). Perhaps the most popular image of Beethoven is of a heroic humanitarian who used music as a force for freedom and against tyranny, as the “man who freed music” (actually the title of a popular biography of the composer). One source of this view is the Eroica Symphony, the work with which Beethoven ushered in a new style that completely and permanently changed the very nature of music. The Symphony was intended to be an homage to Napoléon Bonaparte, the general who had led the struggle for freedom in France, but the composer angrily removed the dedication when Bonaparte had himself crowned emperor. The powerful, liberating, heroic nature of the Third Symphony is unmistakable, whatever the degree of influence Bonaparte really had on its composition. Has the devil got hold of you all, gentlemen, that you suggest that I should compose such a sonata? Well, perhaps at the time of the Revolutionary fever, such a thing might have been possible, but now, when everything is trying to slip back into the old rut..., to write a sonata of that kind?... But good Heavens, such a sonata—in these newly developing Christian times—ho, ho—there you must leave me out. You will get nothing from me. Yet Beethoven soon started not a sonata but an enormous Bonaparte Symphony, even though the French general had two years earlier invaded and defeated Austria. It was impossible to live in Vienna and remain neutral about Bonaparte—to compose a work in honor of the conqueror (especially at a time when renewed war was imminent) would have been pointedly anti-patriotic. Why, then, did the composer decide to dedicate a symphony to Bonaparte? The easy reason is that he was considering a permanent move to Paris, and he thought such a work would provide an entry into French social and intellectual circles. But there were deeper reasons. Beethoven despised the way Vienna’s artists had to depend on patronage from the aristocracy, and he thought that the dedication of a major symphony to Vienna’s enemy, coupled with a well-timed move to the enemy’s capitol, would be an appropriate slap in the face to those who wielded artistic power through wealth. His recent anti-Napoléonic songs and dedications to Austrian nobility had been acts of a faithful servant of the state. But, deep down, he was an independent spirit who hated Viennese society. He saw the French general, who had proclaimed the liberty of all people, as the symbol of his own desired independence from an aristocratic society that supported him financially. The inner manifestation of his struggle to be free of a social system on which he depended for his livelihood was his intense ambivalence toward Bonaparte; the outer manifestation of this ambivalence was the Eroica Symphony. Beethoven esteemed him greatly at the time and likened him to the greatest Roman consuls. I as well as several of his more intimate friends saw a copy of the score lying on his table with the word “Bonaparte” at the extreme top of the title page.... I was the first to bring him the intelligence that Bonaparte had proclaimed himself emperor, whereupon he flew into a rage and cried out: “Is he then, too, nothing more than an ordinary human being? Now he, too, will trample on all the rights of man and indulge only his ambition. He will exalt himself above all others and become a tyrant!” Beethoven went to the table, took hold of the title page by the top, tore it in two, and threw it on the floor. KEYNOTE. We listen to the Eroica and hear one strikingly original gesture after another. The first such event is the opening sound—a tremendous chord played and reiterated, followed by a melody which simply presents the notes of this chord one by one. Later in the first movement we hear intense rhythms, strongly accented (!) silences, an other-worldly derivative of the opening theme in the far-off key of E minor, a mysterious horn statement of the tonic theme against dominant harmony in the strings (just before the recapitulation), exciting rhythmic interactions of 2s and 3s, and two final tonic chords that mirror the opening. The Funeral March is equally original, from its very nature through its poignant fugue to its shattering climax. The third movement contributes an enormous vitality that comes from wonderfully inventive rhythms—the opening metric ambiguity and its extraordinary resolution, the unexpected move into two-beat rhythms during the restatement after the trio, and the interplay of 2s and 3s (even more involved than in the first movement). The originality of the affirmative finale lies in its form. It starts as a series of variations on a simple theme, which becomes the bass line of a more melodic theme and eventually disappears. This list of unprecedented gestures in the Symphony could go on and on, but it is not the novelty of materials to which we should listen. Rather it is the originality of conception that matters. Beethoven had a unique idea for his Third Symphony, and in the process of finding music appropriate to that idea he created an expansive, integrated and powerful work. Once the Eroica existed, no subsequent composer could ignore it. The development of 19th-century symphonic music is traceable more to the Eroica than to any other single work, and it took composers more than a century to exhaust its implications.